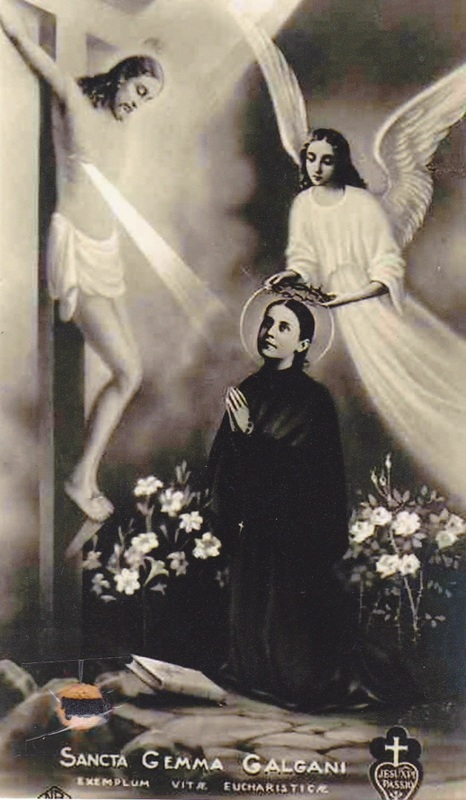 God called Saint Gemma to be a soul victim, that is, she was especially called to suffer in body and spirit for the conversion of sinners, and in reparation for sins. To accomplish this mission, God would give her a share in the innumerable sufferings of Christ, beginning particularly on Thursday evenings until Friday afternoon. It was the Passion renewed, in a lesser degree, in the body and spirit of the young virgin Gemma. These mystical graces were varied; sometimes they occurred simultaneously, other times individually. 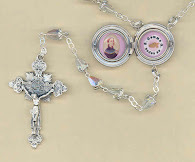 Some of these mystical graces were the stigmata, which she was given on numerous occasions, other times she would receive scourges on various parts of her body, sometimes throughout her body; at times she would sweat blood through her eyes, ears or throughout; she would have large bruises, abrasions and pain on her shoulder, symbolic of the carrying of the cross. Finally, at other times Jesus would place His crown of thorns onto her head. With the crown of thorns for example, the members of the Giannini family would notice her suffering, then drops of blood would appear around her head, and as time progressed, the blood would continue to flow more profusely and would run down her cheeks, onto her collar and chest and back. “Each hair” stated and eye witness, “had its drop of blood, and they would trickle even to the floor”. 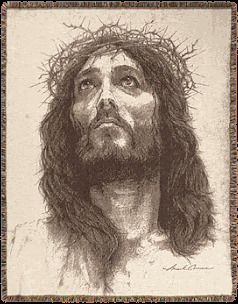 A little strength, a little courage comes to me when I feel Jesus at the hour when he places the crown of thorns on me and makes me suffer until Friday evening, be­cause this I offer for sinful souls, especially my own. 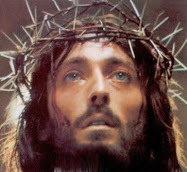 This is how things went yesterday evening, Thursday; I thought Jesus would do like usual that evening: He placed the crown of thorns on my head, the cause of so much pain for my beloved Jesus, and left it there for several hours. 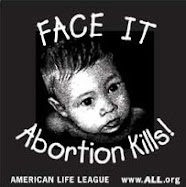 It made me suffer a little but when I say suffering I mean taking plea­sure. It is a pleasure, that suffering. How He was afflicted! And the cause: for the many sins committed, and the many ungrateful souls whom He assists, only to receive in return exactly the opposite. Of this ingratitude how much I feel guilty myself! For sure, Jesus must have spoken of me. As usual, that night I cannot sleep because I am united with Jesus, united more closely than usual, and also because I think my head aches a bit; I kept vigil together with my beloved Angel. In the morning I ran to receive Holy Communion, but I could not say anything; I just stayed in silence; the pain in my head impeded me. My God, how much I lack in this! Jesus held back nothing on my behalf while I in­stead, in order not to suffer, avoid making even the slightest movement if I can. What would you say, my Jesus, about this laziness and ill will?All morning I did nothing but rest. Day came and effortlessly I flew to Jesus; He lifted the thorns and asked if I had suffered much. "Oh, my Jesus," I exclaimed, "the suffering begins now because you go away. Yesterday and today, I took much pleasure because I felt close to You; but from now on, until You return, it will truly be constant suffering for me." I implored him "Come, my Jesus, come more often: I will be good, I will always obey everyone. Make me happy, Jesus." My guardian Angel said the previous evening that I was allowed to keep the thorns in my head until 5:00pm in the afternoon on Friday; it was true, because around that time I began to collect myself completely; I hid myself in the Franciscan church and there Jesus came to me again to remove them; I was alone the whole time. How he showed me that he loved me! He encour­aged me anew to suffer and he left me in a sea of consolation. I did not even tell my confessor about this. In fact, I now tell it for the first time. These words made me fear as did the angel himself. But a little later, while reflecting on them without understanding them at all, I made this resolution: I resolve for the love of Jesus and to please him, never to wear the watch again and not even to speak of things that savor vanity. At the time I also had a ring on my finger. I took it off immediately and from that day to this I have not worn such things. …Later Jesus returned to take back His crown but he came very early, saying I had already done a lot; and since I did not want to, because I did not keep it the usual number of hours, He answered that I was still little, and this is more than enough. “..My Jesus, when my lips near Yours to kiss you, let me feel your gall. When my shoulders rest on yours, let me feel Your scourges. When Your flesh communicates with mine, let me feel your Passion. When my head nears Yours, let me feel Your crown if thorns. When my side touches Yours, let me feel the lance." Lawyer Giuseppe Giannini of Lucca testified: "On Good Friday  I saw a circle of blood around her head and some drops were flowing from the temples. It was exuding from her skin. I did not touch it. My aunt was drying her with some white cloths that became stained with real red blood. The blood then began flowing again and it was a real bloody sweat. She was in ecstasy... she was suffering very much. The circle of blood was starting from one side of her forehead to the other. I do not know if it was coming from her hair also. It was a few millimeters wide and it was beginning from the upper part of her forehead and drops were flowing [to the lower area of her face]..."
Thank God, I found your site. 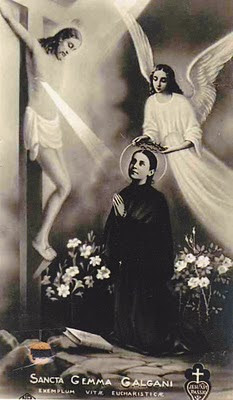 I knew nothing of this sweet saint before this. Finally, a saint who I can identify with. It gives me great joy to know that even though she was a sinner, that Jesus admonished, consoled her and forgave her because she was sorrowful for her sins. 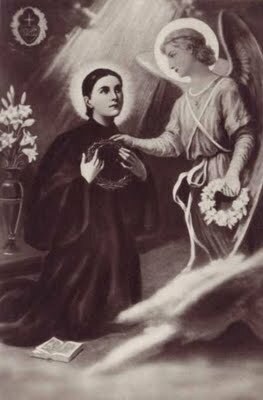 I will ask her to help me in all things for the Glory of God and the salvation of all souls. I cannot miss the similarity of the Divine Mercy and Sacred Heart devotions. Certainly, Jesus loves us and desires to save us from the sword of justice if we but come to His Mercy. 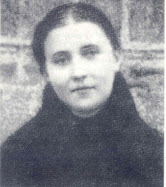 You are very right that probaly one of the greatest things in the life of St Gemma is the mercy, forgiveness and kindness that God contunually showed her. It seems that it was God's loving mercy that prompted her to love Him all the more, and to be willing to make any sacrifice or accept any suffering out of love for Him.